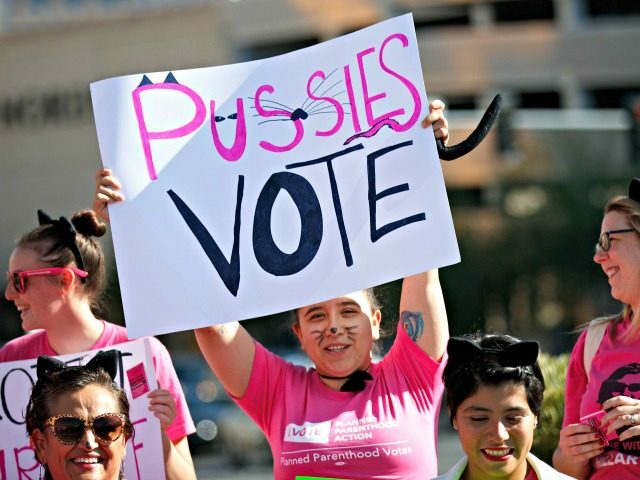 Taxpayer-funded Planned Parenthood announced Wednesday a $20 million midterm election ground campaign – reportedly the largest ever organized by the abortion business. “This is all fuel to an already raging fire,” Deirdre Schifeling, executive director of Planned Parenthood Votes, said, also warning that the “days are numbered” for any politician who opposes women’s right to abortion. The timing of the announcement about the initiative is coordinated with the Senate confirmation hearings for President Donald Trump’s Supreme Court nominee Brett Kavanaugh. Planned Parenthood said the ground initiative will include Arizona, Nevada, New Hampshire, Florida, Minnesota, Georgia, Michigan, Ohio, Pennsylvania, and Wisconsin. According to USA Today, Planned Parenthood is counting on the Kaiser Family Foundation survey statistic that one in three women use the abortion business for health care services. “When we talk to voters about what’s at risk for their health care access … they listen to us,” said Schifeling. Planned Parenthood will be joining with the political action arms of Color of Change, the Service Employees International Union (SEIU), and the Center for Community Change. The midterm elections are seeing a record number of women candidates. Axios reported in August at least 183 women nominees for the U.S. House and 11 women nominees for governor. “Most of the nominees are running as Democrats, which could be a huge advantage for their party come November,” Axios notes.